ILEP pairs senior mentors with second grade students in the Special You Reading Club. 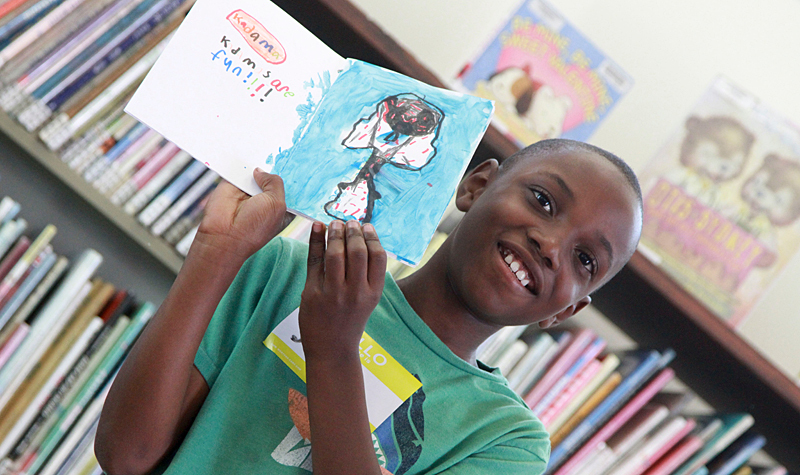 LOCA artists collaborate with the senior mentors and students to develop literacy skills and gain confidence and self knowledge by creating and illustrating their own story about themselves. LOCA helps bring each childs story to life in a hand written and illustrated book. Collaborators: AAUW of Laguna Beach, Assistance League of Laguna Beach, Laguna Beach Library, LOCA Arts Education, Neighborhood Congregational Church, Boys & Girls Club of Laguna Beach, Laguna Beach Senior Center and Sally’s Fund.